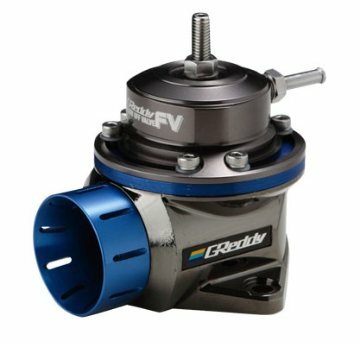 Greddy Performance Products has released a new generation of "Push Type Blow Off Valves," the GReddy BOV FV. The "FV" stand for Floating Valve, and it is this breakthrough in design that produces quicker valve response, increased valve travel, and improved resistance to premature valve lift and boost leak. The unique floating valve design incorporates a revised adjustable dual spring system and diaphragm ventilation, while maintaining the advantages of the previous model's push valve structure and heat resistant silicone diaphragm and valve ratio. This allows the springs and diaphragm to better control the valve and boost.